The Transportation Safety Board is investigating following a collision between a bulk carrier and a cargo ship in Vancouver Harbour. According to Transport Canada, the accident happened just after midnight on Sunday after the MV Caravos Harmony lost power and collided with the MV Pan Acacia. 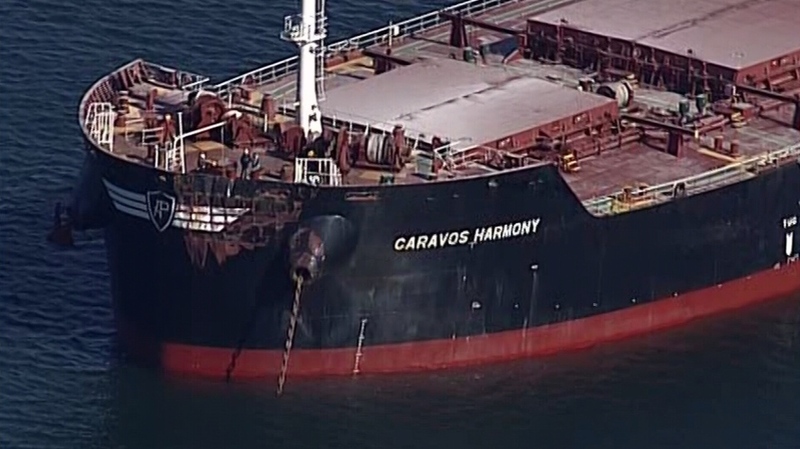 In footage taken from CTV's Chopper 9, the Caravos Harmony can be seen with damage on its front left side, while the Pan Acacia has a hole midway down the length of the vessel on the right side. The federal department says both vessels will be detained in port until repairs and other follow-up actions are completed. A bulk carrier typically carries a large amount of a solid commodity, rather than cargo separated into containers. 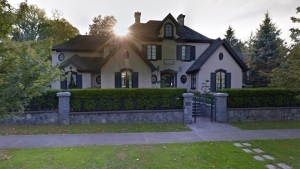 The TSB says it has deployed a team of investigators look into the incident. "They'll be inspecting the vessels, talking to crew members, talking to any other witnesses and people who may have information about the sequence of events and taking it from there," he said. The Vancouver Fraser Port Authority said in a statement that it deployed its harbour patrol crew and vessels and found no imminent risk to those onboard the vessels, to the public or to the environment.